Yep, there is a Friday 13 this June! But fear not! You can get some of these! And if you order during the first week of June, you’ll have your lucky 4 leaf clover in plenty of time! In response to the many requests I receive for information regarding large orders of the framed lucky clovers, I will be adding that as an option on the website soon. Until then, please use the contact form or email for inquiries about pricing and availability. 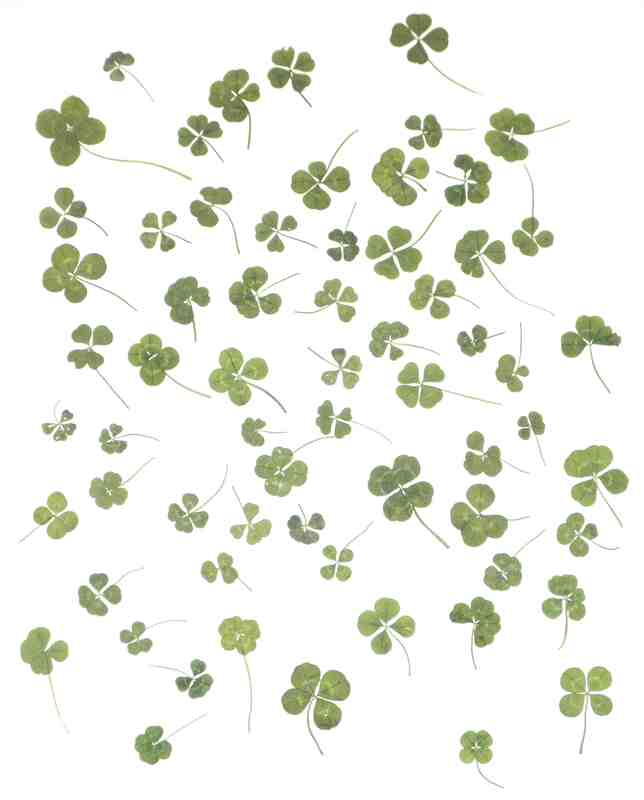 Typically, I have enough 4 leaf clovers available to fill orders of 100+ pieces. However, I do not always have enough frames for bulk orders, and usually have to purchase or reorder them for orders of more than a couple of dozen. This means it can take up to 2 weeks for me to receive the frames needed to assemble a large order. So, if ordering a large quantity, please keep this in mind, and allow approximately 30 days to receive your order. Currently, individual framed clovers are available for 19.00, while lots of 3 are available for a discount. By ordering 3 pieces, you save over 10%. The current plan is to add 12-lots for a larger discount, and perhaps 50-lots for an even larger discount. I know it’s been a long wait, but there will be new paintings and drawings on the website soon! And, the newest frames for the four leaf clovers have arrived! It’s a new style, and I know it will be as popular as the current frame style has been. The current selection is almost gone, so if you want the current frame style, get them fast! I will likely discontinue that frame style when it is gone, and there are just a few pieces left. I have a few more plans also, but one thing at a time! I’ve kept everyone waiting long enough for more new originals. The plan is to have it all added within the next couple of weeks– I’ll keep ya posted! Don’t be caught without your green! You can now get a real 4 leaf clover framed for good luck from soulbearing.com! And be sure to check out the merchandise printed with photos of real 4 leaf clovers, in the soulbearing store on zazzle.com. Framed 4 Leaf Clovers for Sale, in time for St. Patrick’s Day! My dear readers, your intrepid artist has had the flu and spent a large portion of the past 3 weeks whimpering and shivering under a pile of blankets, sucking down copious amounts of orange juice and cough syrup. Seriously, this season’s flu is brutal. Don’t catch it. It took weeks to recover, and any orders placed through soulbearing.com and eBay were being handled and shipped by a courageous temporary helper, in order to avoid passing along any germs to my beloved patrons. But now I’m good as new and the studio has been thoroughly disinfected… and I’ve been busy. There have been THOUSANDS of new items added to the soulbearing zazzle store; the total number of image/product combinations is now nearing 8,000. And, there is something for virtually everyone, whether you’re a fan of abstract expressionism, symmetrical designs, rural and nature photography, or floral photography. Find fabulous original designs on household items, skins and cases for electronics, tshirts, accessories, cards and postage, office products, and art prints & posters. Looking for the real four leaf clovers? Those are still available too!! Thanks to the mild winters here, they grow almost year round, and you can find them in frames at soulbearing.com or in pendants via the eBay auctions. Also, there are more new paintings on the way, in plenty of time to give your home or office an art makeover for the New Year!! Posters and prints are great, but there is nothing quite like an original painting’s colour and texture. And you can find links to it all at soulbearing.com, which conveniently accepts PayPal. So, show your love, get great merchandise and art, and feed an artist this holiday season. The changes have been slow in coming, but, having overcome a few hurdles, I can finally say the new stuff at soulbearing.com is finally on the horizon. The first page to get a makeover is the four leaf clover page. There are still a couple of things to add, but I think it is “finished for now”– and with a new product!! The art pages are more involved, since each painting will have its own page with detail pictures. But, those are on the way– along with more paintings. For now, the “barebones” version is there for existing clients (and for new clients bold enough to purchase a painting from a single photo and basic description). With much of the reorganization finished and with things better organized now, there are fewer tasks to juggle, so customers should be noticing the reduced handling time and faster shipping, plus more regular blog updates. Which brings me to another coming change. The current plan is to move the blog to its own domain. I have a domain just sitting there redirecting people to soulbearing.com, and I think it is time to do something else with it. I don’t know how much hassle it is to set up, but “we’ll see”. There is still a lot of work to do as the focus shifts more toward publicizing, but things seem to be falling into place now. Many thanks to the friends, family, clients, and well-wishers who have provided encouragement, guidance, and sustenance during this transition from “mostly hobby” to “mostly livelihood”. it’s friday the 13th; don’t you wish you had one of these? It’s still not too late to prepare for next time. Also sold in frames at soulbearing.com. Originally, I thought there were even fewer, but then I found another box of the same kind of frames… and now those are almost gone. I have been shopping for similar frames at a similar price, made in USA. So, there will be more framed clovers; they just may be slightly different frames, at a slightly higher price. And, I do not know when I will be able to offer so many of them in groups for a discount again. So, if you like these frames, get them while you can. You can buy them in lots of 6 and 12 on eBay, or individually on soulbearing.com. Real 4 leaf clovers are also currently available in necklace pendants. They’ve been so popular, more will eventually be made available. But, for now, they are available in very limited quantities. And, for the month of April, 10% of all my eBay auctions will be donated to the Chesapeake Bay Foundation. I never gave it that much thought, but a little over a week ago, I wondered how many 4 leaf clovers I find per week in the spring. (Of course, when I say “per week”, what I mean is during the 30 minutes or so per week that I spend walking across the yard for various things.) I find them all year, but I find more of them in early to mid-spring. I’ve found enough lucky clovers this year that for the first time, I can offer them in frames, for sale in small lots of 3, 6, and 12, currently only available on eBay. This is for a limited time and this frame style is almost gone, so if you have random gifts to give throughout the year or like to keep a little luck around, now is a good time to stock up! !